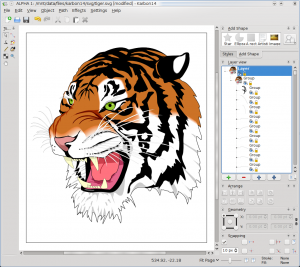 Artwork is a vector drawing application with an user interface that is easy to use, highly customizable and extensible. That makes Artwork a great application for users starting to explore the world of vector graphics as well as for artists wanting to create breathtaking vector art. 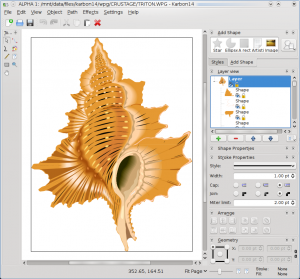 Using the Artistic Text Shape is a tutorial that shows how to get started with the artistic text shape that is available in all KOffice applications. This page was last modified on 5 March 2018, at 14:47. Content is available under Creative Commons License SA 4.0 unless otherwise noted.